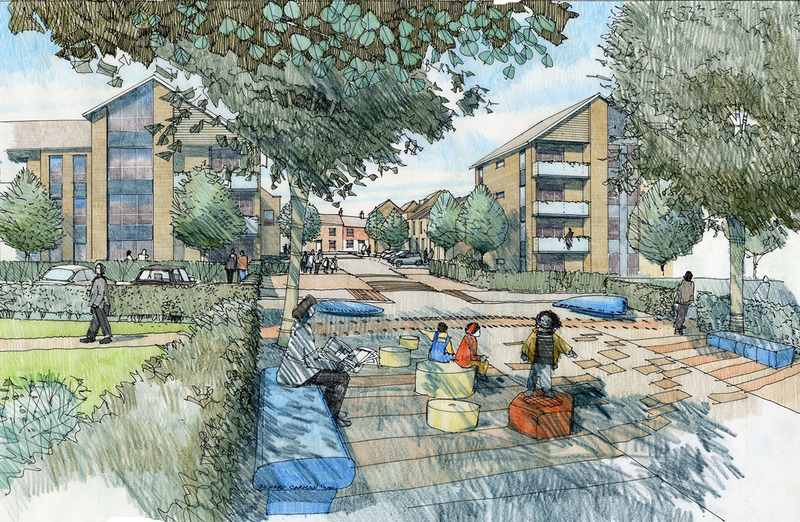 The £95m regeneration of the historic Sittingbourne Paper Mill and connected wharf site is providing up to 150 new homes, landscaped amenity spaces, a Morrison’s supermarket, retail park, and leisure and community facilities. 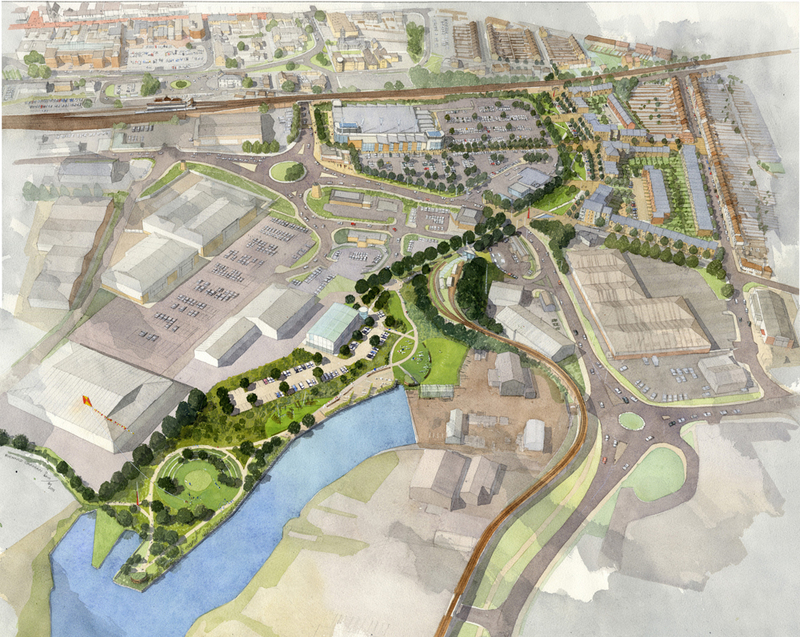 BPTW coordinated a hybrid planning application submission for the site. 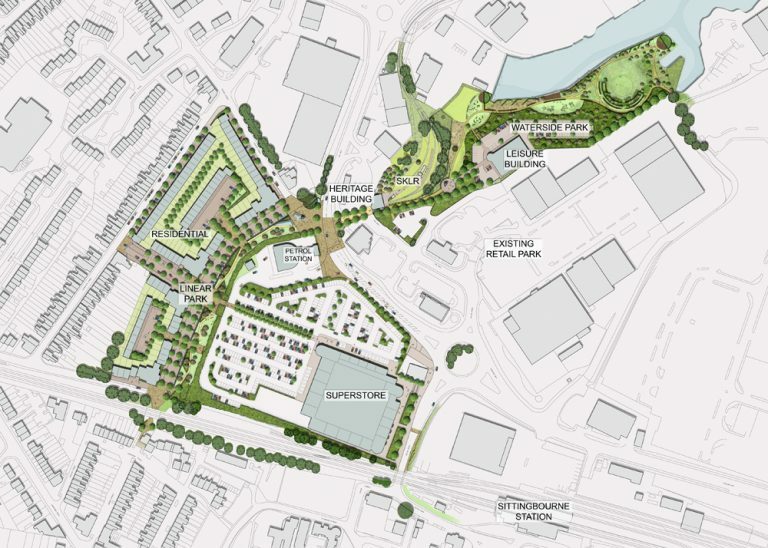 We led a series of pre-application discussions with the Council, and worked closely with conservation and planning officers to promote the heritage aspect of the former paper mill site through the retention and incorporation of the Sittingbourne and Kemsley Light Railway into the newly landscaped, publicly accessible parkland. 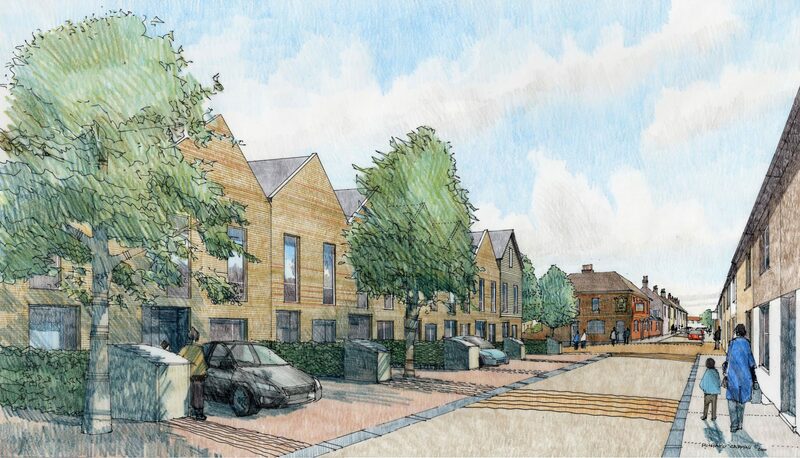 The development will act as catalyst for the wider regeneration of Sittingbourne town centre and provide much needed high-quality family housing. Improvements to the public realm will open up the area to the public with safe and attractive links for pedestrians and cyclists.